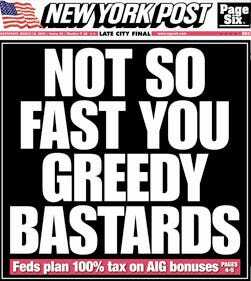 Today is AIG bonus day, when the financial services company plans to pay out $46 million to its employees. The company will retain around $21 million from approximately 65 former employees who the company asked to take a 20% pay reduction. The move is an attempt to score points after last year’s bonus fiasco, and after AIG employees pledged to pay back $46 million and then only gave back $19 million. They still plan on paying back the full amount.